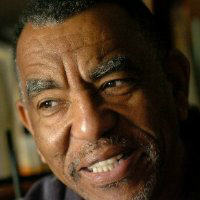 W. Paul Coates is the founder and director of Black Classic Press, which specializes in republishing obscure and significant works by and about people of African descent. A leader in the field of small publishers, Coates founded BCP Digital Printing in 1995 to produce books and documents using digital print technology. Coates formerly served as an African American Studies reference and acquisition librarian at Howard University’s Moorland-Spingarn Research Center. He is a graduate of Clark Atlanta University (M.S.L.S. ), and Sojourner-Douglass College. 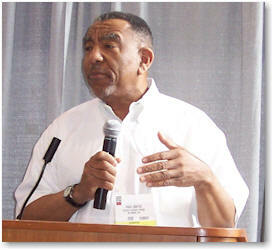 A former member and Maryland State coordinator of The Black Panther Party, he was instrumental in the establishment of the Black Panther Party Archives at Howard University. 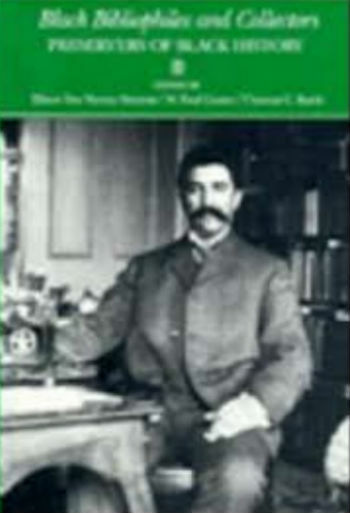 Coates is co-editor of Black Bibliophiles and Collectors: Preservers of Black History (Howard University Press, 1990). He formerly owned and operated The Black Book (1972 ’ 1978), a Baltimore-based bookstore. His experience with the purchase, sale and collection, and publishing of books by and about Blacks is a love affair that has continued for more than three decades. An exceptional father-son story about the reality that tests us, the myths that sustain us, and the love that saves us. Paul Coates was an enigmatic god to his sons: a Vietnam vet who rolled with the Black Panthers, an old-school disciplinarian and new-age believer in free love, an autodidact who launched a publishing company in his basement dedicated to telling the true history of African civilization. Most of all, he was a wily tactician whose mission was to carry his sons across the shoals of inner-city adolescence’and through the collapsing civilization of Baltimore in the Age of Crack’and into the safe arms of Howard University, where he worked so his children could attend for free. Among his brood of seven, his main challenges were Ta-Nehisi, spacey and sensitive and almost comically miscalibrated for his environment, and Big Bill, charismatic and all-too-ready for the challenges of the streets. The Beautiful Struggle follows their divergent paths through this turbulent period, and their father's steadfast efforts’assisted by mothers, teachers, and a body of myths, histories, and rituals conjured from the past to meet the needs of a troubled present’to keep them whole in a world that seemed bent on their destruction. With a remarkable ability to reimagine both the lost world of his father's generation and the terrors and wonders of his own youth, Coates offers readers a small and beautiful epic about boys trying to become men in black America and beyond. On June 12, 2013, Black Classic Press (BCP) Publisher W. Paul Coates Kicked off a Year-Long Celebration of 35 Years in Business at the Enoch Pratt Library in Baltimore. The video (shown below) features; the Mayor of Baltimore, Stephanie Rawlings-Blake; author Walter Mosley; and BCP publishers, W. Paul Coates and Natalie Stokes-Peters. Tell us how much you like W. Paul Coates.